When it comes to watch making, one of the world famous country for watch making is Swiss. Swiss watch making is flawless and the best inventions in watch have come from Swiss. People from different parts of the world like to wear Swiss watches than other manufacturers. The reason is that they could feel the quality and the finish. The Swiss watches are the best with high quality in design, finish and movements. They are famous for the legends in independent watch making. Rare watches, luxury watches and usual watches in best quality are best if it is from Swiss. Some of the leading swiss luxury watchmakers are given below. The important fact is that most of the, that is more than half of the luxury watches in the world are from Swiss. Swiss manufacturers play major part in most of the luxury watches in the world. They are best in each aspect of the watch as they create challenging, promising and unbeatable designs. The difference in making the best watches in the world with amazing craftsmanship is the real success for the Swiss watch makers. They are keen in investing the best of their creativity in watch making. The thoughts they conceive in watch making is incredible. An independent watch maker with compact workforce and he designs the movements individually. All of his creations are best in class and one of the reason is that the parts of the watches are handmade not machine made. Most of the watch makers especially the high end watch makers use handmade parts to maintain precision in watch making. Be it a complicated wrist watches, unique watches in design and quality and also in technicality no watch maker can match Vianne Halter. 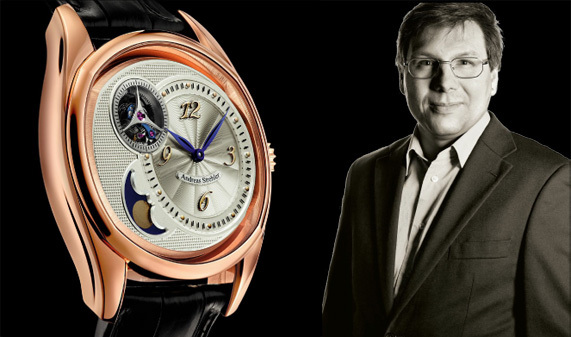 He is a legend who is famous for the science fiction theme Tourbillion watch. One of the most famous luxury watch makers in Swiss is Bovet and it is widely famous for the pocket watches in Chinese market. These days, it is famous for high end watch making with classic touch but with modern design. A devoted and passionate high end and luxury watch makers in the industry for long time. They are famous for unique collections that attracted wide range of watch wearers. Attractive collections with contemporary designs are the best part of this maker. He is also one of the famous for high end swiss watch brands. His technique of upside down is widely famous and he is an watch making expert collaborated with many companies. Presently, being an independent watch maker these days, his productions are unique and amazing.